Star Wars legend Carrie Fisher is in a critical condition after suffering a massive heart attack and being unresponsive for 10 minutes during a flight from London to Los Angeles, reports say. Carrie Fisher, 60, is best known for playing Princess Leia in the Star Wars saga. According to TMZ, passengers attempted to revive the actress with CPR and she was rushed to hospital when the plane landed after midday local time. Carrie Fisher had been on tour promoting her latest book The Princess Diarist. The heart attack happened about 15 minutes before the plane landed in LA, TMZ reported. A medic who was traveling on the plane administered CPR. A law enforcement official told NBC that Carrie Fisher’s condition was “not good”. Fellow Star Wars actor Peter Mayhew, who played Chewbacca in the saga, tweeted his thoughts and prayers for “everyone’s favorite princess”. Carrie Fisher appeared in the original Star Wars trilogy and Star Wars: The Force Awakens, a sequel released in 2015. The actress also appeared in other movies including The Blues Brothers and When Harry Met Sally. 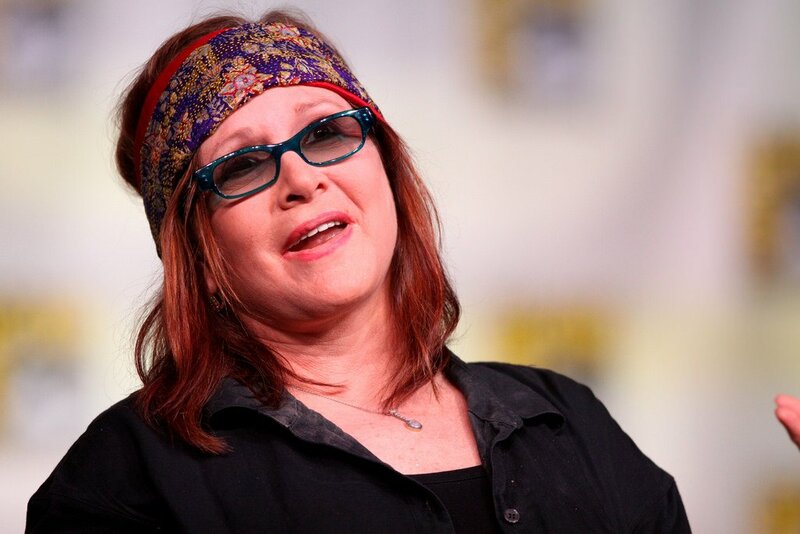 Carrie Fisher has written four novels and three memoirs and was previously married to the musician Paul Simon. In her latest memoir, Carrie Fisher reveals that she and Harrison Ford, who played Han Solo, had an affair during the filming of Star Wars when she was 19 years old, and he was 33 and married with two children. Carrie Fisher is the daughter of singer Eddie Fisher and actress Debbie Reynolds.